A brave Sheffield mum who suffered a near fatal haemorrhage is forming a team of runners and walkers to raise awareness of city brain charity Neurocare. Helen Foster, aged 51 from Hackenthorpe, has been left with life changing epilepsy after suffering a subarachnoid haemorrhage in 2015. But despite facing more than 100 epileptic fits last year, she is determined to enjoy life and to give something back to the doctors and nurses who saved her. Helen said: “In January 2015 I suffered a near fatal Subarachnoid Haemorrhage – an uncommon type of stroke caused by bleeding on the surface of the brain – which came completely out of the blue. “I was in a coma for seven days and spent six weeks at the high dependency unit, and then transferred for rehabilitation for a further two weeks to help me get back on my feet. “After a time I wanted to return to work in my role as a senior teaching assistant at a primary school. I loved my job and was committed to it, so was very excited to go back – albeit on a phased return to begin with. “But then out of nowhere I had a massive epileptic seizure. After that they kept on coming and didn’t stop. I was diagnosed with post stroke epilepsy that was so severe I had to retire from work, which was completely heart-breaking. “Last year alone I had more than 100 seizures. My epilepsy has massively, completely and utterly changed my life. I used to be a strong independent woman and now I am forced to rely on other people. “I can’t drive, or even shower on my own. I used to love cooking, but now there are some days where I haven’t got the strength and have to stop half way through. Someone has to be with me at all times, meaning that I’ve lost all my independence. “That said, I have learned to accept it and stay positive. I take every day as it comes and live my life as much as I can. It’s just a different path to what I had planned, and I work with what I’ve got. “My family and friends have been great, including my three grown up sons, my husband, my sister, mum, mum-in-law, niece Madison and my close friend, Julie. I also have a two year old granddaughter called Mollie who makes me smiles constantly and is very loving and funny. I’m so lucky to have this support network, who scoop me up when I need it and get me out and about. “I have also been supported by the most fantastic clinic and consultant at the Royal Hallamshire Hospital, whose ultimate aim for me is to be seizure free. My latest medication seems to be controlling my seizures more, which is giving me hope. Helen is putting together a team for Neurocare’s annual Head Start race, and hopes to attend on the day, even if she is not able to take part herself. This will be Helen’s third year supporting the event, adding to the £2,700 she raised for the charity in 2016. 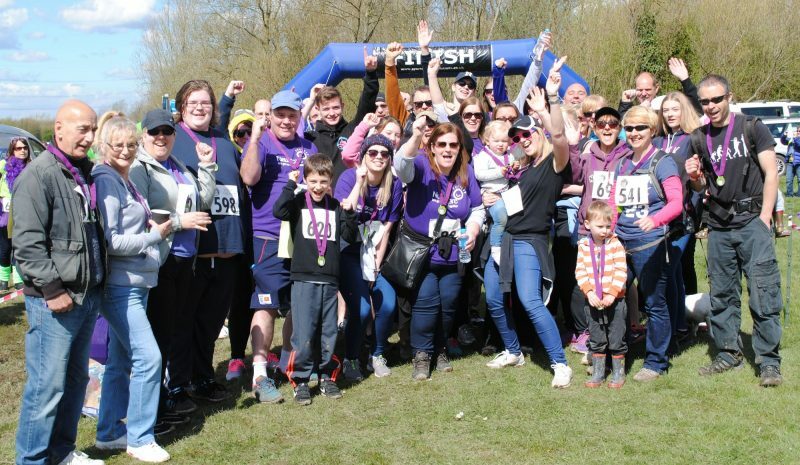 Head Start, a 5k and chip timed 10k run, will take place on Sunday 20 May 2018 at Rother Valley Country Park. The event is perfect for first time runners and seasoned professionals, plus those who would just like to walk the course.